HYDRATOOLS solves equations frequently used to determine the discharge of orifices, weirs, gutters, channels, and pipes in gravity and pressure conditions. HYDRATOOLS is particularly useful for designing storm drain systems. HYDRATOOLS is very easy to use. Just select the equation to use from the menu and a dialog box is displayed on screen where you can fill in the values. Then press the SOLVE key to compute an answer. Compute the discharge of a given pipe at any depth of flow. Given a discharge and a slope, compute the minimum pipe size required. Given a required discharge and a pipe size compute the necessary slope. Determine the discharge of a pipe at a given head. Calculate the head required to pass a known discharge. Calculate the pipe size required to pass a given discharge at a given head. As with all HYDRATOOLS equations you can always solve for any variable. For example, you can calculate the bottom width of a trapezoidal channel required to pass a given Q at a given slope. Orifice flow conditions often arise in the design of storm water management outflow structures. HYDRATOOLS allows you to easily compute the orifice size required to achieve a peak discharge rate in a detention basin design. The weir flow equations are also useful for designing storm water management outlet structures. HYDRATOOLS is available either on a card or on disk to be downloaded into your HP48 via the serial port. It is also included with HYDROmate, RAMSS' TR-55 method hydrology software for the HP48. The current version of HYDRAtools is 2.01. If you have an earlier version see UPDATES for information on ordering the latest version. Copyright © 1999 RAMSS Inc. All rights reserved.  HYDRAtools, HYDROmate, and the RAMSS logo are trademarks or registered trademarks of RAMSS Inc.